Let your pup lounge on this Serta XL memory foam dog bed. It has bolsters on the side and a removable, machine-washable cover. 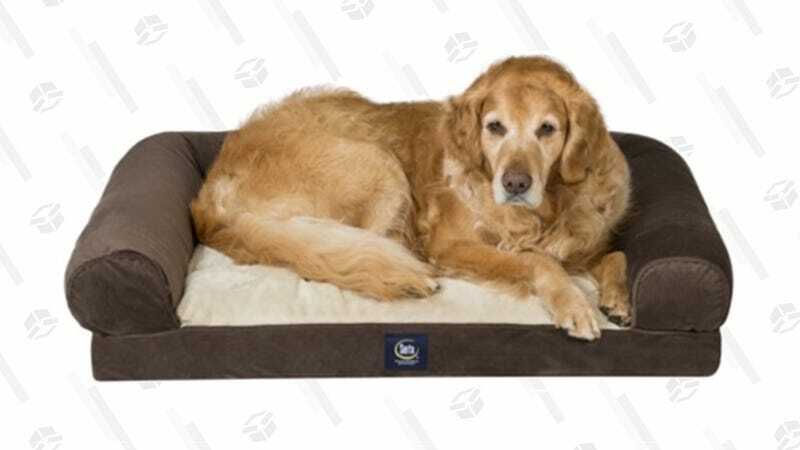 Although it’s not water resistant, it’s similar to the popular PetFusion dog bed, and about half the price. Pick it up from Woot for $50.